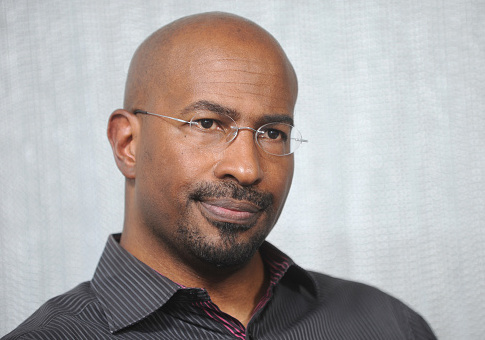 Progressive CNN commentator Van Jones claimed in a new oral history of the 2016 election night that his on-air remarks about Donald Trump's victory being a "whitelash" earned him free Uber and taxi rides from strangers for the next two weeks. Jones, a former Obama administration official, reacted emotionally to the election results on the night of Nov. 8, saying it would be hard for parents—particularly minorities—to explain to their children. "This was a whitelash against a changing country," Jones said. "It was whitelash against a black president in part. And that's the part where the pain comes." Jones' comments went viral and won applause from liberals who felt it channeled their dismay at Hillary Clinton's defeat. In an oral history of the night compiled by Esquire, Jones said the comments became a "big, big thing." "I saw that my name was trending worldwide. And I was like, ‘Whoa, that's weird,'" he said. To hear Jones tell it, it made him so famous that for two straight weeks, total strangers made sure he didn't pay for anything in New York or Washington, D.C.
"Liberals are treating me as some kind of hero," he said. "And literally, for the next two weeks, I didn't have to pay for anything in any establishment in D.C. or New York. Not one meal. Not one cab. Uber people would turn the thing off and just drive me around for free." This entry was posted in Politics and tagged 2016 Election, CNN, Donald Trump, Hillary Clinton, Van Jones. Bookmark the permalink.